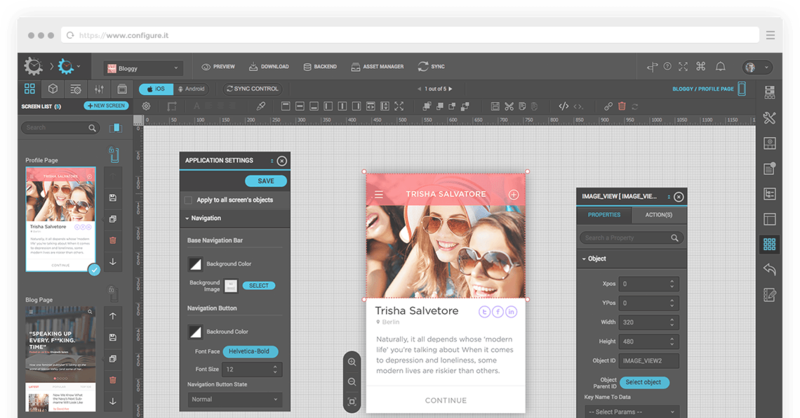 Create beautiful UI for mobile and tablets right within the browser with drag-and-drop editor. Build custom UI, logic and just about everything within your browser – without using any SDK. Build fully customized user interfaces as per your app needs without being restricted to the template based design. Develop simultaneously for iOS and Android platforms complementing the powerful sync between the platform. 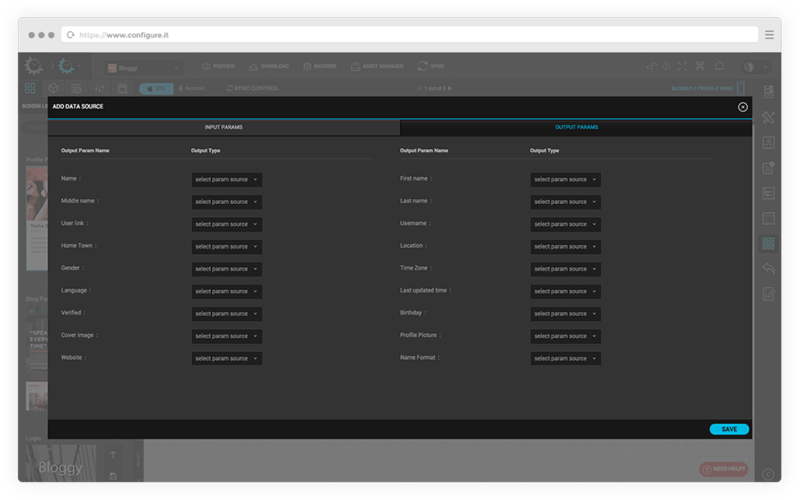 Integrate data APIs as per your logic and bind them variables to screen controls instantly. Create apps for smartphones and tablets within the single interface and logic, for both iOS and Android. Set up actionable Push / GCM notifications for better user engagement and meaningful experiences. Create apps that can store information on the device, and doesn’t require Internet connection. 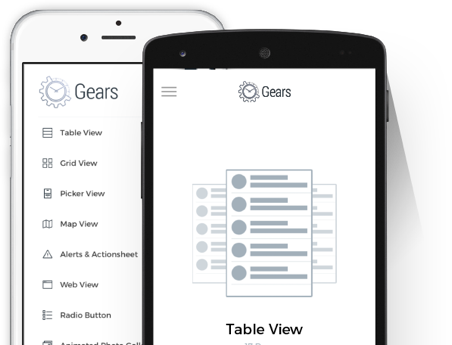 Leverage the growing repository of more than 50 controls, 300 callbacks and 200 events, combined for iOS and Android. 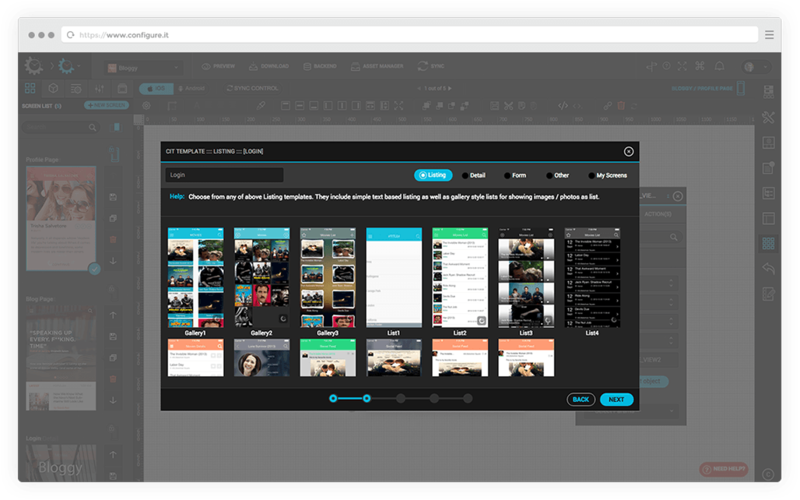 Manage the images and assets used within the app with Asset Manager. Tweak your sprites with the advance editor. 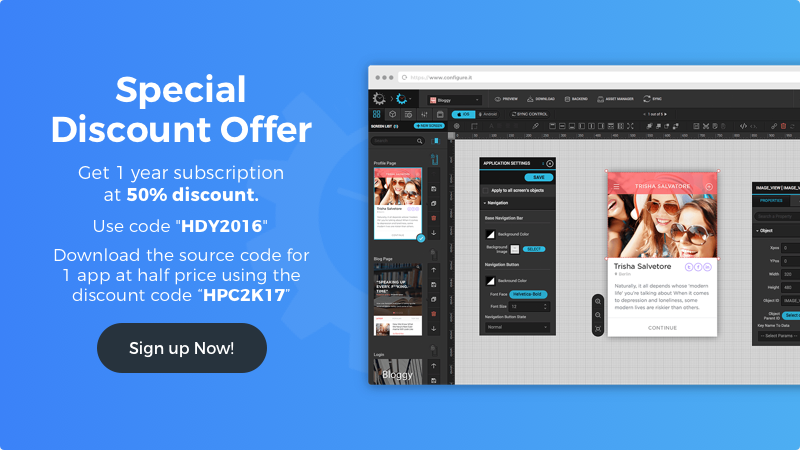 Instantly download the native source code for the entire application for iOS and Android to further extend. Instantly connect popular social services and third party services into your app with minimal efforts. Effortless localization of app UI with instant translation to 20 languages to help you build rich personalized experiences for global audience. Do not reinvent the wheel for producing similar screens, or even entire project. Land that added beauty to your apps by integrating popular interfaces like Side Panel, Pull to Refresh etc. One place to develop, test and manage every little piece that your next app idea requires. See real-time preview on your iOS and Android smartphones and tablets, with PreviewIT.